I have been looking forward to this next installment in The Arcana Chronicles for so long! 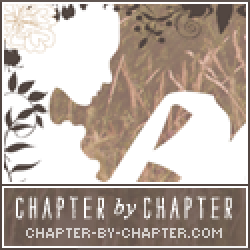 I fell in love with books 1 and 2, and was undeniably hooked after reading Endless Knight. But nothing prepared me for the awesome that was waiting in Dead of Winter. Basically, Dead of Winter by Kresley Cole follows main character, Evie, and her two loves, Jack (the Cajun hotty) and Aric (the sexiest version of Death I’ve read thus far). The main mission? To destroy the The Lovers (who, btw, are a couple of messed up Arcanas omg). The secondary mission? Evie must make her choice. Aric and Jack are done waiting for Evie to decide. They have given her a deadline, and when that time comes, she must give them both her decision. Will she choose Aric who can give her anything her heart desires and with whom she’s had a connection with that has lasted through multiple lifetimes? Or will she choose Jack, her first love? I also really enjoyed (and was a little shocked tbh) reading about The Lovers (aka Violet and Vincent). The craziness that goes on their heads and what the different types of torture techniques they used on their victims was gag worthy. I mean seriously? How does one (victim) get over witnessing and/or experiencing any of that? Crayyyy-zeeeee. These two are a whole lotta messed up…and yet I could not turn away! But if I’m going to be completely honest, what I loved the most about this installment was Aric. Even though he is Death (aka The Reaper), his honesty, his demeanor, his actions, his words, his everything (!) just had me falling deeper and deeper for him. I laughed with him, I sighed for him, and I shed a tear or two for him. He is most definitely my number one book boyfriend. What did I not like the most about this one? Evie… I haven’t really been a big fan of hers. The way she thinks sometimes blew my mind. Thinking first with her heart instead of her head? Maybe… One thing I will tell you. She does something that enraged me. I couldn’t fathom her reasoning! I didn’t agree with it, I won’t agree with it, and I love that author, Kresley Cole, made me feel this so strongly! 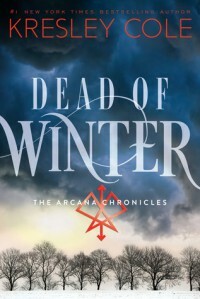 I recommend Dead of Winter to fans of The Arcana Chronicles and I recommend this series to those interested in books that involve tarot cards, anyone looking for unforgettable characters (for me it was Aric), stories about teens with “superhuman” strengths, tales involving revenge and vengeance, and anyone who is looking for a storyline that you can get lost in. I am so looking forward to the next book!